Does Hockey Culture have a Major Flaw? I love baseball. I grew up a fan of the Montreal Expos, and was pretty sad when we lost the team. I moved to Toronto in 2006 and quickly become a Toronto Blue Jays supporter. I endured a lot of terrible seasons, and unfortunately had already moved back to Montreal when they finally became good and made the playoffs. I cheered for afar, and enjoyed every bit of the journey. I have been a hockey fan my entire life as well, and hockey usually took precedence over baseball in my house, thus the culture and history of the game is in my blood. When the Blue Jays ultimately fell short of winning the World Series, there was a sense of disappointment. In hockey, you would properly look at their season as a great step forward, but ultimately a failure because they didn’t win it all. I admittedly cringe when baseball teams celebrate every single playoff victory with Stanley Cup-esque champagne parties. In the NHL, teams don’t even want to touch the President’s Trophy or the conference championship awards because that’s not the one they want. It makes them seem really humble, doesn’t it? It brings with it a sense of understanding and respect for the game that division titles and regular season success doesn’t mean squat if you aren’t the last team standing at the end of the postseason. Fans will mock teams who proudly raise division or President Trophy winning banners. I’ve been guilty of that myself. It’s not really seen as an accomplishment to be the regular season champions. But the Blue Jays run to the playoffs opened my eyes to differences in baseball culture and hockey culture. The Jays hadn’t made the postseason since they won the World Series in 1993. It was a long time coming. The city was just waiting for something to celebrate, and they certainly got it. Winning the American League East, notoriously known as one of the toughest divisions in baseball, was viewed as something worth celebrating and milking for all it’s worth. I was thrilled, don’t get me wrong. But I couldn’t help but smirk as I watched the excessive celebration, my hockey mind thinking, “they haven’t won anything yet”. I soon learned how false that thinking was. With Spring Training underway, the players have been asked many times about the memorable run, and one comment in particular stuck out to me. When questioned about the A.L East championship, one player explained how winning a division is one of the hardest things to do in baseball. You have to consistently be good for 162 games, and be the best over that stretch to fend off the rest of teams. To win the World Series, you have to be the best over three playoff rounds, one of which is only a best of five. There is a lot of luck attached to winning. Everything has to go right. You have to be healthy. 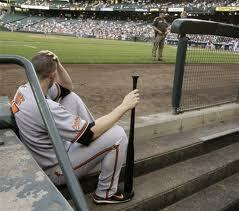 One crucial error may cost you a series. But over the course of an extremely long season, luck is less of a factor. Obviously staying healthy is just as important, but it’s a huge sample size to determine which teams are truly the best, and which teams have the depth and fortitude to overcome adversity. Now I wear my division championship t-shirt with pride, understanding what a big deal it is. Baseball isn’t hockey, though there may some old school baseball guys who think the celebrating is too much. But there is an understanding that making the playoffs is a big deal. There are only a select few teams who make it. Hockey is slightly a different animal, because 16 teams out of 30 teams make the postseason. I’m not saying that it’s easier, but in terms of odds and percentages, it is. 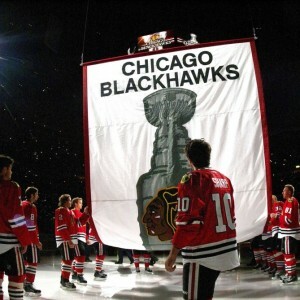 The Chicago Blackhawks get a lot of credit for being a great team, and rightly so. But how about the Washington Capitals? They are in the midst of a historic season, yet if they fall short of winning the Stanley Cup, will this season be seen as a failure? Should we celebrate their regular season success a little bit more? The legacy of players are often measured by how many championships they’ve won, and less about their individual accolades. Don’t get me wrong. In a team sport, obviously team success is the most important, but should we give more credit to other accomplishments as well? The Capitals have won their division seven times since the 1999-2000 season. They won the President’s Trophy in the 2009-10 season, and are well on their way to another one this year. They’ve made the playoffs seven out of the past eight seasons. But the Capitals legacy, particularly in the Alex Ovechkin era, will be highlighted by their playoff failures. (I should mention that I am far from being a Washington Capitals fan, and defending them is very difficult, but I can’t ignore the facts). The distrust that people have in the Caps is well deserved. They have had the talent to go to the Stanley Cup final, but have only been their once in their franchise history, and never won. We have had the privilege of watching Ovechkin become the greatest goal scorer of his generation, and maybe one the best in history, yet we are reluctant to crown him until he wins his Cup. (I’m also not a big Ovechkin fan, so defending him is even more difficult. But I have resigned to the fact that he’s a special talent). 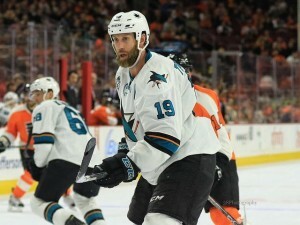 The San Jose Sharks are another example of a team who has had plenty of regular season success but never got it done in the playoffs. They have consistently had great teams, missing the playoffs just once in the past 10 years, winning the division six times since 2001 and winning the President’s Trophy in the 2008-09 season. Some may say, who cares about all that, because they can’t win the playoffs. And I understand that sentiment. I even share it to some degree. But being that good, that long, not having to go through lengthy rebuilds or tank for first overall picks should be celebrated a little bit more than it is. The Capitals should be the favorites to win the Cup this season. They have brought in experienced veterans, they have one of the best goalies in the league and they certainly have “learned to lose”. But if they fall short, will anyone remember the fantastic season they had? Will anyone remember how they dominated the league? Hockey culture may not allow for it. And while I never would celebrate losing, and I hate the “participation medal” mentality, I am starting to believe that we should give some credit for being the best. And after 82 games, it may be easier to measure who is the best than after four playoff rounds where luck, seeding, and match-ups play a huge role in which teams make it all the way to the end.